Travelling to or from Canada? My Baggage offers super fast, convenient and affordable luggage shipping services, allowing you to travel luggage free. 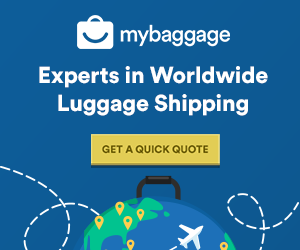 My Baggage delivers luggage to over 200 countries worldwide, making it the perfect luggage shipping solution if you’re studying abroad, travelling on business, holidaying, or even relocating to Canada. Anyone can avail of our great prices and excellent services! My Baggage offers convenient door to door services, as well as full online luggage tracking. Find out more information about shipping your excess baggage to Canada. From majestic natural wonders, to some of the world’s coolest cities; Canada is a one-of-a-kind destination. It truly has something for everyone; a mass of outdoor activities, with so much to explore, as well as cosmopolitan cities that are safe, friendly and multicultural. Without a doubt, Canada is the place to go if you’re hoping to start a new life for you and your family. The country is repeatedly lauded as one of the world’s most liveable countries! 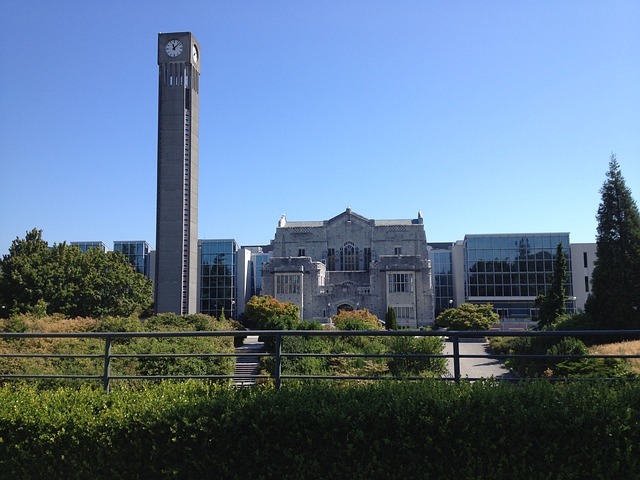 As well, boasting a number of great universities, such as McGill University and the University of British Columbia, it’s also a perfect place to further your academic horizons. Check out our ultimate guide on relocating to Canada! There is an abundance of things to see and do in Canada. 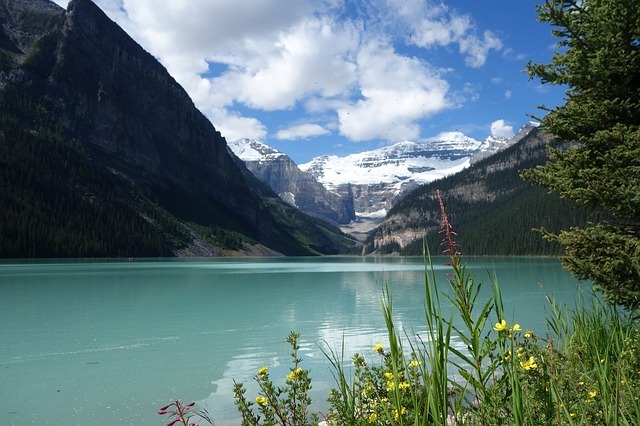 Few countries can boast the number and range of natural wonders that Canada does. With more coastline than any other country, mountain ranges, lakes, forests, arctic and even a small amount of desert; Canada truly has an incredibly diverse landscape packed full of surprises to explore. To send a care-package to a loved one in Canada. 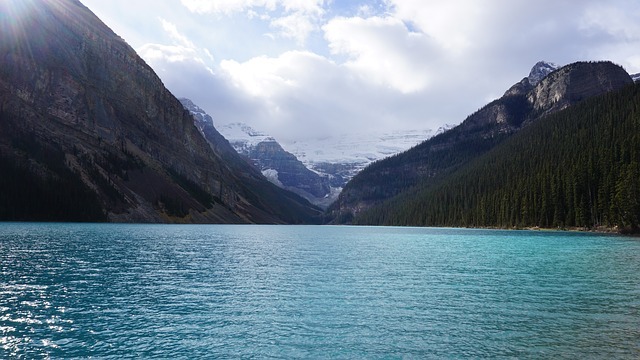 The journey to Canada is long-haul and, unsurprisingly, there are those who wish to avoid the nightmare of hauling their suitcase or heavy bags on such a long, tedious journey; from their home and through train stations, taxis and airports. Thankfully, My Baggage’s convenient and affordable services make for the perfect alternative to airline baggage. When you book a bag on your flight, you need to keep in mind your airline’s restrictive, less-than-generous baggage weight allowances when packing up all of your personal belongings. It means you may have to make the sacrifice that no one wants to make; leaving many of your beloved personal belongings behind. Even then, you might still be faced with a nasty surprise at the check-in desk, meaning you’ll have to cough up extortionate excess baggage fees. When travelling long-haul, it’s not an ideal situation. If you’re a student travelling to Canada to study abroad, or perhaps if you are emigrating with your family; our generous baggage weight allowance and your ability to send as many items as you like with us can come in particularly useful. It allows you to bring more possessions with you than if you were simply relying on a few checked pieces of luggage. Shipping your excess baggage to Canada with My Baggage also makes that dreaded, tedious wait for the appearance of your suitcase at the luggage carousel in the airport a thing of the past. (Not to mention the possibility of your suitcase not appearing at all, which is every traveller’s worst nightmare!) My Baggage ships your luggage quickly and safely. My Baggage allows you to ship goods to Canada quickly, conveniently and most importantly, at a fantastic low cost. Although we specialise in luggage shipping, we can help you transport all kinds of goods to Canada, including care packages and oversized items. Canada has numerous great ski resorts to retreat to; from the renowned Whistler area, to Banff and Lake Louise. On the surface, transporting your skiing gear internationally to a destination such as Canada can seem like a difficult process; not to mention an expensive one. Thankfully, My Baggage allows you to easily ship your skiing gear to Canada. Shipping your oversized items to Canada with My Baggage is the easiest way to avoid extortionate oversized/overweight baggage fees from your airline. We help you to avoid having to haul your skiing gear or similarly oversized item from home and through train stations, taxis and airports. Sending oversized items with My Baggage is an efficient and cost-effective way of getting your items to their overseas destination quickly and safely. Note: if you are shipping your bicycle to Canada with My Baggage, it will need to be dismantled and packaged up in a box so that we can transport it easily and safely. Your local bicycle shop should be more than happy to do this for you for a small fee. Perhaps you have a loved one living in Canada, why not send a thoughtful care-package with My Baggage? At My Baggage, we don’t just ship personal effects and suitcases to Canada – we can send parcels and gifts, too. Before you place your booking, be sure to do some research into Canadian customs, particularly when it comes to sending gifts. Whether you’re off to Canada to study abroad for the duration of your degree course, for an academic year, or even just a term; you can send everything you need straight to your new home on campus with My Baggage. Perhaps you’re off to study at McGill University in Montreal, or the University of British Columbia. Wherever it may be, My Baggage can help you get all of your personal belongings there quickly, safely and at a low cost. Our online booking system and door to door collection and delivery makes our service incredibly easy and convenient for busy students. And with My Baggage, you don’t need to worry about waiting weeks for your important study materials to arrive. We offer super fast transit times; with Express services available to and from all universities in Canada. The My Baggage team is made up of former students and recent graduates, so we understand how stressful the prospect of moving to university can be – not to mention moving to university overseas! Therefore, it is our top priority to make your experience as stress-free and as easy as possible. Our convenient student shipping services to Canada allows you to relax and enjoy what should be one of the most exciting times of your life. Want to know what other students think about My Baggage? You can read our reviews. Do your research on Canadian quarantine and customs. If you and your family are emigrating to Canada to begin a new life, and perhaps have a lot of possessions to bring; such as furniture, as well as an abundance of personal belongings – you might consider transporting everything with an international removals company. This means you can transport all of your worldly belongings in one go; from smaller, personal items to all of the pieces of furniture that you need for your big move. Perhaps you don’t have an entire household of belongings to ship to Canada; but you do have a number of exceptionally large items you wish to transport. Perhaps a sofa, a fridge or even your car. Although a fast option of transporting your belongings, air freight tends to be an exceptionally expensive option; as air freight is typically charged by weight and volume. You also need to consider the transportation of your items to and from airports. 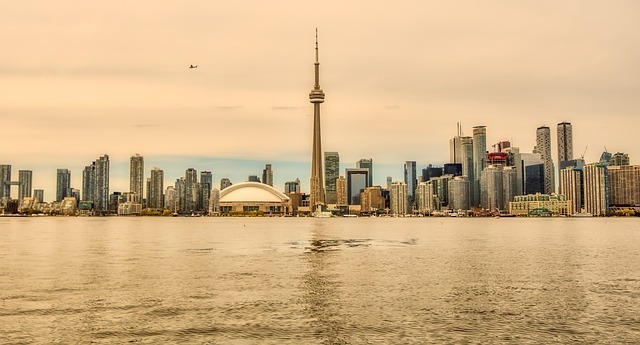 Sea freight also allows you to send exceptionally large, bulky items to Canada that may be otherwise difficult to transport to such a destination. However, your items will be shipped via cargo ships in large shipping containers. Therefore, it’s important to note that shipping your possessions by sea freight can be an exceptionally slow voyage, meaning you need to be okay with being without your belongings for quite some time. Depending on the service you choose, you could be waiting for up to two months for it to arrive. When shipping goods to Canada, you are legally required to complete and send a customs declaration with your shipment. Whether you’re sending personal effects or a gift to a loved one; if your shipment does not have customs documents attached, it will not make it past your local country border, and you may have to pay return charges to get it back. My Baggage will automatically provide you with the appropriate customs documents for you to complete, print and sign when you send your luggage to Canada with us. Generally, My Baggage shipments clear customs in a timely manner, free from duties and taxes, as most countries offer a generous duty-free allowance for personal effects. However, as customs processes and allowances are different around the world, and because My Baggage has no control over any customs authority; we do advise doing your own personal research into Canadian customs regulations and quarantine before booking your shipment to Canada. Please make yourself aware of potential customs duties in Canada and be sure to follow any and all advice provided by customs directly. If shipping to; Ontario, Quebec, Nova Scotia, New Brunswick, Manitoba, Price Edward Island, Saskatchewan, Alberta, Newfoundland and Labrador, Northwest Territories, Yukon or Nunavut – self-clearance will be required, in which the named consignee will need to visit a local Canadian Border Services Agency (CBSA) location. Before booking a luggage shipment to Canada, it is important to ensure a CBSA location is accessible to you. It is extremely important to note that any goods that have not been cleared within 40 days of arrival into Canada will be assumed “abandoned” by the Canadian customs authority and the ownership of the goods will transfer to the Canadian state for disposal. My Baggage gives you the freedom to ship your personal belongings anywhere in the world, meaning you can send almost everything you would typically find in a holiday suitcase. However, for security and customs reasons, there are certain items which are prohibited, as is standard with most, if not all, shipping companies across the world. As well as this, there are also a number of items that can be carried on the service, however, they are sent at your own risk as they are not covered under our compensation cover. If you choose to send any non-compensation items, please ensure they are packaged appropriately, with plenty of internal packaging for any delicate items. As important allowances, security and customs processes differ around the world; we recommend that you do your own personal research into what may be prohibited in your destination country. For example, food; food is universally accepted as the best gift for those living abroad and missing home. However, when sending food to Canada, your shipment can experience issues and/or major delays if not properly researched prior to sending. All food imports are controlled by the Canadian Food Inspection Agency (CFIA) and they often require some additional paperwork to be attached to your food parcel. When shipping your belongings to Canada with My Baggage, we recommend using either suitcases or strong cardboard boxes. Or, of course, you can use a mixture of both! Booking your luggage shipment to Canada with My Baggage is easy. Our easy-to-navigate online booking system is available 24/7 and takes just a few short moments to complete. Simply start by getting a quick quote straight from our homepage. You can ship a huge 30kg/66lbs suitcase or box from the UK to Canada for as little as £118! When you send your luggage to Canada with My Baggage, we make sure that you’re always kept in the know. You will be given access to full online luggage tracking information, which will allow you to monitor the progress of your shipment every single step of the way. You’ll even be notified as soon as your item is out for delivery. If you happen to have any questions or concerns along the way, our dedicated customer support team will be more than happy to help. We pride ourselves on our unrivalled customer support; thanks to many years of experience, our team are experts in shipping luggage all over the world. Don’t hesitate to contact us via phone, email and live chat. Cheap luggage shipping services to and from Canada. Fast shipping times – express services available on many routes. My Baggage offers affordable and convenient luggage delivery services for everyone; whether you’re a business user, a holiday maker, an expat or simply moving house. No matter your reason, absolutely anyone can take advantage of our competitive prices and excellent services. In fact, many savvy business users regularly avail of our low cost and convenient shipping services in order to relocate their employees all over the world.